Cambridge, United Kingdom and Bejing, China – October 20, 2016 – Collabora Productivity, the driving force behind putting LibreOffice in the Cloud, and Seafile, a leading open source file sharing vendor, announce the availability of Collabora Online in the newly released Seafile pro edition 6.0. 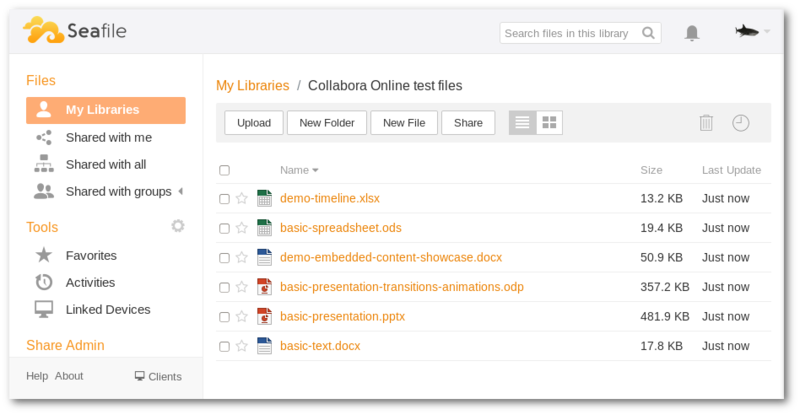 Collabora Online inclusion is one of the major improvement in the latest professional edition of Seafile, providing enterprises with the much requested seamlessly integrated Open Source cloud document suite that supports all major document, spreadsheet and presentation file formats, increasing productivity while staying in full control of all sensitive corporate data. 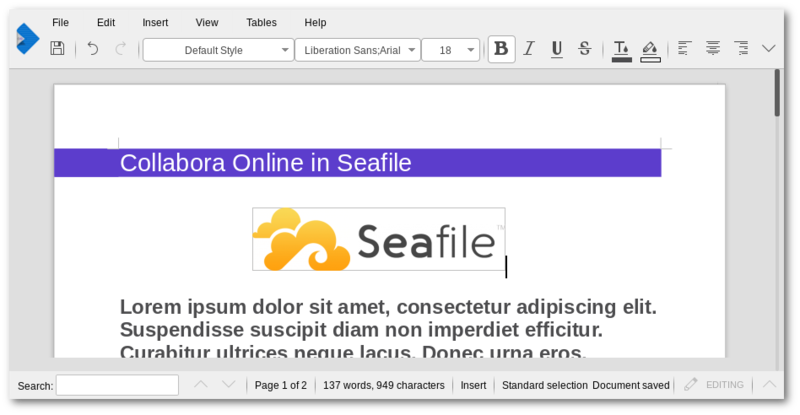 Collabora Online in Seafile pro edition 6.0 works directly from the browser, without the need to download any add-on or plugin. For more information about this release, please contact sales@seafile.com or sales@collaboraoffice.com. Try out Seafile with Collabora Online! Seafile is a cloud storage platform for enterprise environments with sharing and collaboration features and a focus on safety and reliability offering native client apps for most major operating systems like Windows, Mac OSX and Linux as well as iOS and Android. With a user base of more than 250 000 active users, Seafile counts industry clients like Kaspersky Labs and Ping An China to its Seafile Professional customers as well as European universities like HU Berlin and Université de Strasbourg.